California’s congested highways unfortunately are not only the scene of long traffic backups and delays, but also multiple vehicle collisions. A specific example recently involved a multi vehicle car accident on the southbound 405 Freeway near Westminster. The accident forced the closure of all lanes on the freeway. More sobering was the overturning of a pickup truck in the incident that resulted in the death of the driver at the scene. From the standpoint of liability, claims involving multi vehicle crashes can be challenging to determine. 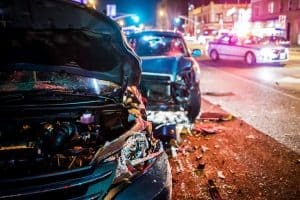 When more than two vehicles are involved in a crash, the assigning of responsibility can point back and forth among the different parties involved. Such a scenario often requires litigation to determine the causes of the accident and the level of responsibility of the drivers involved. Regarding the last factor, the National Highway Traffic Safety Administration reports that 82 percent of deadly crashes involving large trucks in 2015 were multi vehicle accidents. The state of California uses the “comparative fault” standard when it comes to determining tort liability and negligence. This standard gives authority to a judge or jury award damages to one or more parties corresponding to their degree of fault in an incident. If you are determined to have fault as the plaintiff in a case involving a multi vehicle crash, the judge or jury may reduce your money damages by the percentage of your fault. Liability rests with any person who contributed to the accident as a “substantial factor” in causing harm. This refers to a person causing harm in such a way that a reasonable person would consider the action taken to have contributed to the harm. This does not refer to a trivial or remote factor. As well, “substantial” does not exclude other causes contributing to the harm, according to Judicial Council of California Civil Jury Instructions 430. The responsibility of drivers who contribute in one way or the other “substantially” to a multi-vehicle traffic accident includes payment of present and future lost wages, medical expenses, as well as the value of lost earning capacity or permanent disability (physical and mental), as well as general damages covering physical pain and mental suffering related to sustained physical injuries. Compensation for property damage may also rest with responsible drivers. Investigating the incident, determining responsibility, and negotiating with various insurance companies are challenging tasks for even the most experienced car accident attorney. In order to achieve optimum compensation for your injuries, it is vital to have a strong legal advocate working on your behalf from start to finish. An experienced California multi vehicle collision lawyer is important to have on your side, especially when multiple insurance companies are not able to agree on percentage of fault. The assigning of fault in such cases has to be done through a lawsuit and formal discovery actions to determine the facts of the case. In some cases, it may be beneficial to have expert witnesses reconstruct the actual accident. Avoid the attempt to negotiate with insurance providers in the wake of a multi vehicle accident without a professional legal advocate on your side. If you’ve been injured in one of these crashes with another party at fault, allow our team at Taylor & Ring to maneuver your claim for compensation to a successful outcome. Call us at 310-776-6390 or use our contact form to arrange a free, no-obligation consultation.